And am trying to use it as pulse counter for my energy counter. I connected it do GPIO0 bot its not counting at all. I foundout that this module giving high level on standby and low on pulse. Its ok for Espeasy (R147)? what kind of electricity counter? The old version with a rotating disk or an electroic counter with a flashing LED? The high level shoud be no problem as a pulse should be counted anyways. instead of booting the loaded one. shows if the board has power. The second one shows the pulse output. If the second one does not blink there are no pulses to count. This should be checked first. It is counter with LED. on module PWR led is ON and second led is flashing acording to counters led. I would like to use it with Domoticz, what setting should I Put? Have you tried to adjust the sensitivity of the device by turning the poti?... never mind if led is flashing. There are 4 pins on the module. Which one did you connect to gpio? I have some numbers, but what should be the settings to send it to domoticz with correct readings of current W and total / day / month kWh? Settings look good as far as i see. Set the Formula field to %value%. I've seen some sketches not working without this. Set the "Decimals" to 0 - there is no 0.1 pulse so decimals are not needed. I'm not sure if the sketch works without a "Debounce time" setting. Just to make sure set it to 1. Sadly i can't say anything about domoticz as I use FHEM. First check the "Unit Number" set in the "Config" tab. It must be set to a unique number from 1 to 31. Do you get any reading in the task list (refresh the page now and then, it does not refresh automatically). If yes there is a problem with the domoticz configuration and i can't help any further. If the task list reading stays zero there is a circuit problem. As far as i can see from the picture there seems to be a LM393 soldered on the sensor board. This is a circuit with a "OpenCollector" output type so it needs a pull up resistor. Use a 3.3 ... 10 KOhm resistor connected between 3.3V and the GPIO to get the correct high level. Its working now on another ESP, giving some numbers but the only problem left its to set it correctly in domoticz its giving only 30 - 40watts and no kWh counting. My electricity meter is 800 imp per kwh. How to configure esp for domoticz ? To set the impulses per kw/h in Domoticz you have to go to Settings tab and then to Meters/Counters tab and change the default values. In my case I have 125 impulses per kw/h. Question about esp connection to electricity meter. How to connect directly to meter ? Without ldr or photo diode. My electrycity meter has 2 contacts for this. which electricity meter do you use? Does it have two connectors "S0+" and S0-" ? Then it should be easy to do. These counters usually have a so called "Open Collector" output. The wiring should not be too long as i assumed the ESP is placed near the counter. Use the "Pulse Counter" in ESPEasy to get the readings. Thank you. Tomorrow i tray if i find time. This is easier than mysensors with billoim wires If my wifi signal reaches out. What GPIO nr. need use ? I'd recommend not to use the GPIO0 as it is used for flashing. Any other GPIO can be used, it's configurable in the ESPEasy devices. I have some issues to get right values from ESP easy (latest build) to Domoticz. I changed to Wemos + ESPeasy, which gives me a better range. Problem is, that with ESPeasy, i cannot get correct values to my "Electric (Instant + Counter)" device in Domoticz. Earlier with Arduino, i was able to get data, which was shown correctly on this: INSTANT, OVERALL, TODAY Info, all are important. I just had the same problem literally 30 min ago. The "S0" connect is a standardized output without own voltage supply so you have to add the resistor. That makes it easy to connect to the 3,3V ESP. For questions like this it's better to open a new thread in the forum then attaching to an existing thread. Hi. To get a reading from the pulse counter in Domoticz . Go back to your esp and change you formula to "%value%*60". The pulse counter resets its value every minute so this gives you the most accurate values. Mind you it also means that as your only counting from 2 to 30 pulses a minute, your value will go up and down by 60 Watts in Domoticz. Make sure that in Domoticz its computing the value and using "Instant & Electric Counter"
I got it working. Dummy device is: General, kWh. Type is: Usage and Computed. Debounce Time (mSec): 100 (did not work correctly lower than this value). With these settings, i got exactly same values than my electric company informed me. Hopefully this helps someone else with same case. To get a 'standard' output to Domoticz, the 2 formulae in ESPEasy need to be corrected for the number of pulses per kWh coming out of the S0-interface, because kWh-meters exist with rates different from the 'nominal' S0-value of 1000pulses/kWh. Examples known with pulse-output as low as 1/kWh (SDM120C, at the adjustable S0-interface) and as high as 3200pulses/kWh (for DDS238). Last edited by Ton_vN on 05 Aug 2018, 11:33, edited 1 time in total. Just a check/question for understanding. The Pulse-Counter-interface of ESPEasy also produces/provides a value Time. What is the content of this value Time? If the ESP8266 is connected to an S0-interface is there any meaningful application of this Time-value e.g. related to calculation of Usage? Any rule of thumb for related optimal setting at the receiving end in Domoticz? 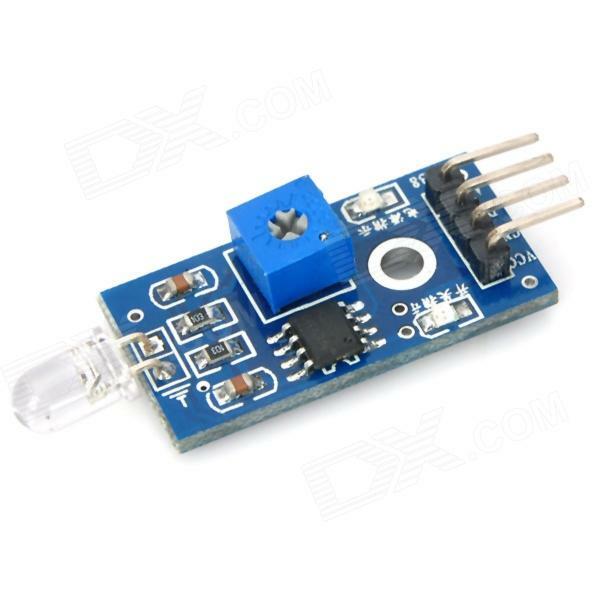 I would like to get a Time value only from Pulse sensor as my termostat for heating turn on light when active. If there is possibility to have a time in domoticz, then I can calculate somehow appr. consumption. Another issue when tried to measure just count when thermostat turned on and light started to shine. Its a light through the red cover, diode on pulse counter get it, but counter went mad and still increasing dozens of counts. When tried normal handlight blink worked like a charm. I'm planning on attaching a ESP to my S0 interface to and the connections seems clear... but could anyone share some info on what rules/calculations to use based on the imp/kwh on the reader? How often should the ESP send the value etc? I'm not using domoticz but home-assistant so I don't have your nifty premade configs! Sweet thanks, I can't see a difference between kWh and kWh (time)? No, it's not used (the time value). So they are the same. just installed counting as per scheme and it looks working properly. I've did one check after 8 hours to merge counter and my domoticz measures. Results were same on both sides. One hint for you which will find S0 output on pins 20 and 21. Polarity as per follow S0 - 20(+), 21(-). and measure with oscilloscope, but cannot see any digital signal out from the module. i'm wondering whether this infrared port on the smart meter needs to be enable? if need to enable, then how to enable? only electric provider company can enable this? There are gazillions types of this meter available.